The Mexicans annually celebrate Anniversary of the Oil Expropriation on March 18. This holiday celebrates the oil expropriation by President Lázaro Cárdenas in 1938. Until 1938 oil was drilled in Mexico by foreign companies. But the oil fields started to decline after 1923, and much of the U.S. investments went to Venezuela. President Lázaro Cárdenas had to take serious efforts to raise economy of Mexico. One of the major steps was oil expropriation. All Mexico petroleum reserves were nationalized and the equipment of foreign oil companies in Mexico was expropriated. The legislation for nationalization provided financial compensation for the expropriated assets, but Cárdenas' actions angered international business community. 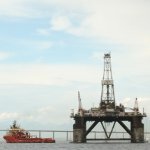 Before leaving, oil companies made sure, that they left nothing valuable, hoping to make Cárdenas take their conditions. At the same time Cárdenas worried, that his nation couldn't run the refiners due to lack of knowledge. However, Mexico was able to restart oil production and refinement, but it didn't rise to per-nationalization level till 1942. The USA sent technical advisers to Mexico to ensure that oil production could support the Allied. Lázaro Cárdenas founded petroleum company Pemex (Petróleos Mexicanos), which is a model for other nations, that seek greater control over their oil and natural gas resources.